Corneal trephine, metal, in leather-covered case, c 1850s-c 1880s. 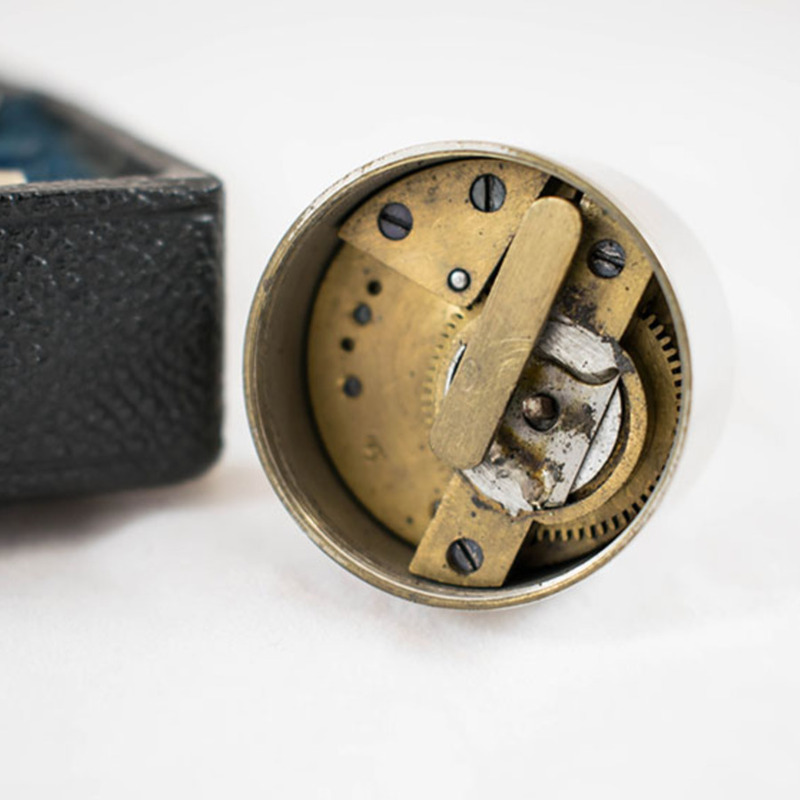 Pictured here is a corneal trephine powered by a clockwork mechanism, manufactured by Koutny. 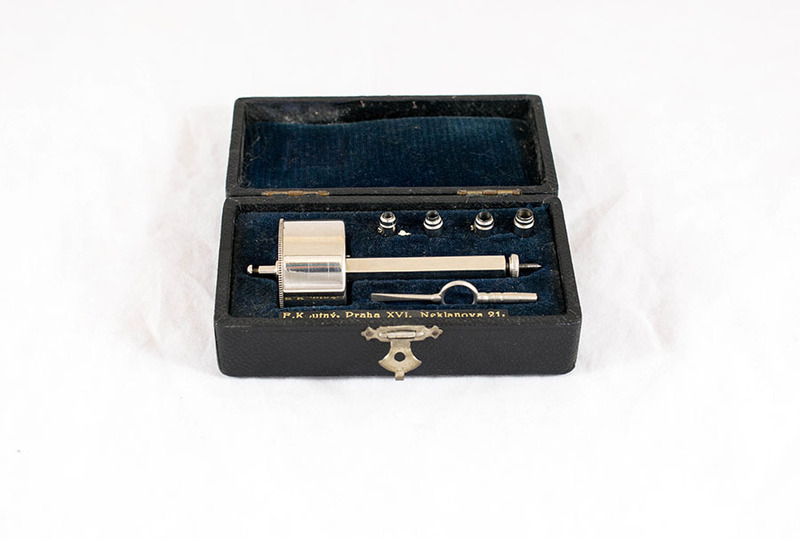 It is held in a leather box lined with velvet, along with 4 different trephine heads and scaler. 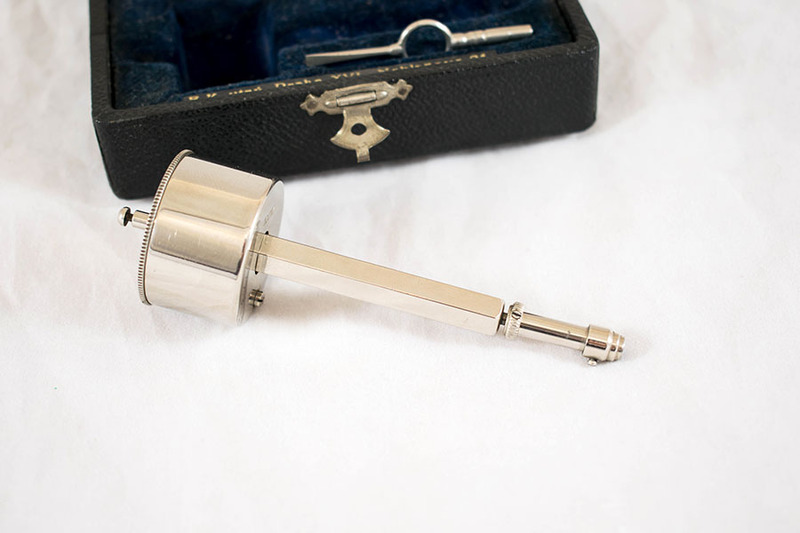 By winding up the trephine, the instrument would be used to drill into a portion of the cornea for removal. 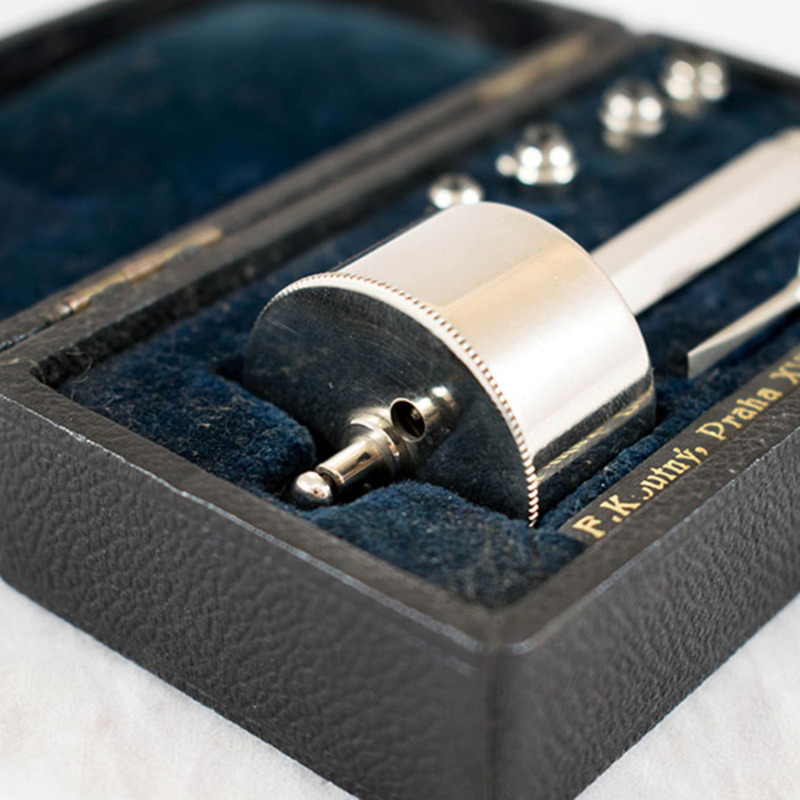 Koutny, “Clockwork Corneal Trephine,” Heritage, accessed April 23, 2019, https://heritage.rcpsg.ac.uk/items/show/156. 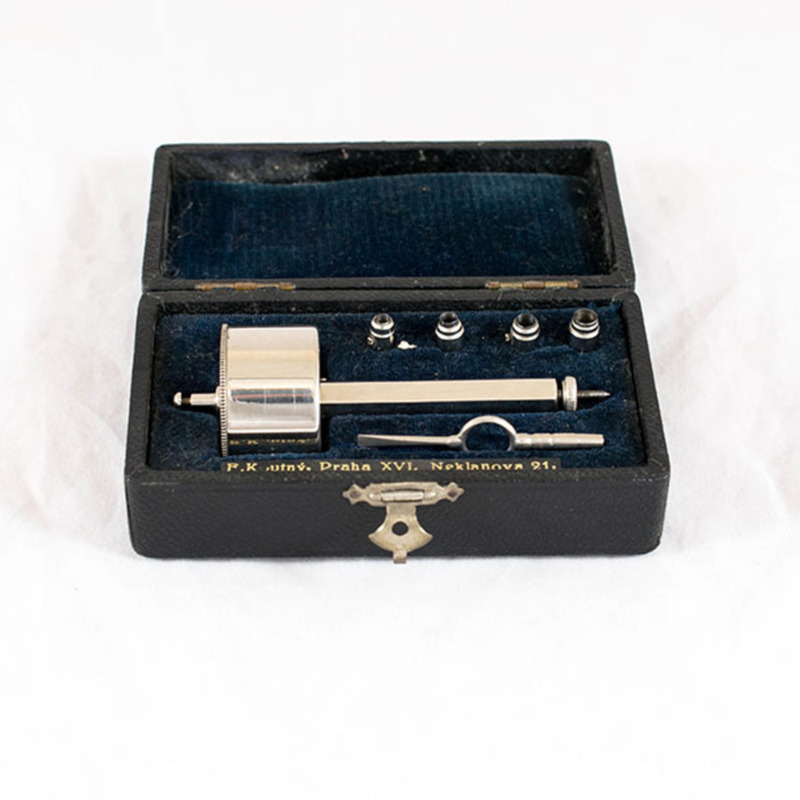 Description: Corneal trephine, metal, in leather-covered case, c 1850s-c 1880s. 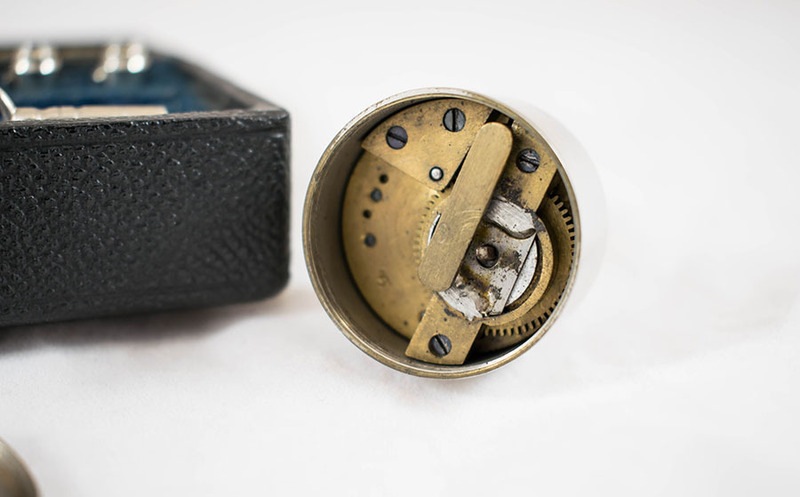 Pictured here is a corneal trephine powered by a clockwork mechanism, manufactured by Koutny. 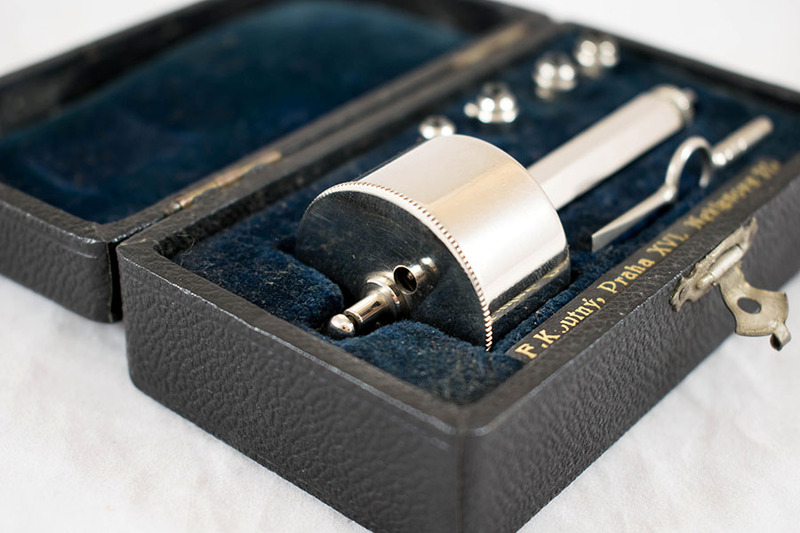 It is held in a leather box lined with velvet, along with 4 different trephine heads and scaler. 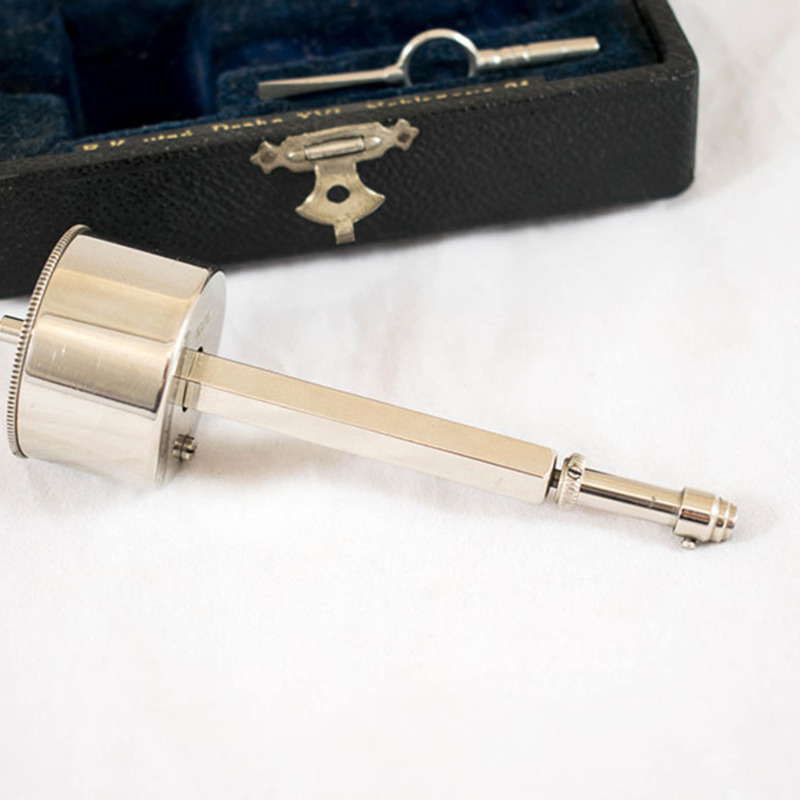 By winding up the trephine, the instrument would be used to drill into a portion of the cornea for removal.